10 Years' Anniversary at Roweb for two more colleagues! 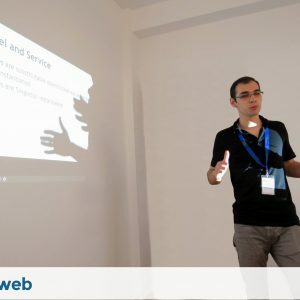 Home Blog 10 Years’ Anniversary at Roweb for two more colleagues! 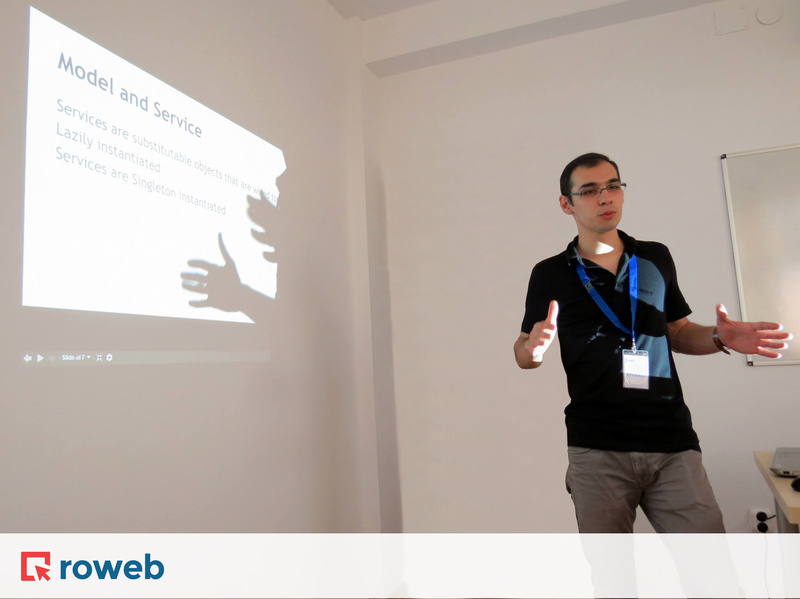 Our colleagues Gabriel and Corneliu have been working at Roweb for 10 years. Here’s what they had to say about their experience over the course of all these years in our company! 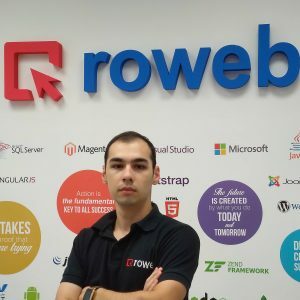 How did you start working at Roweb? 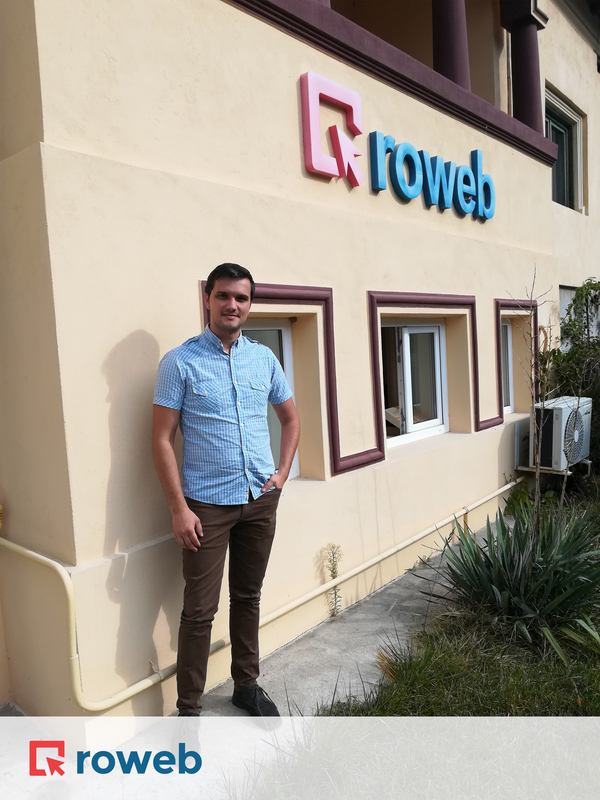 Gabriel: When I started working at Roweb I had already had one year’s experience, during university, so at that time I had some idea about what to expect from an employer. Besides, I had a few acquaintances and university colleagues who were already working there and that made me apply for a job at Roweb as well. 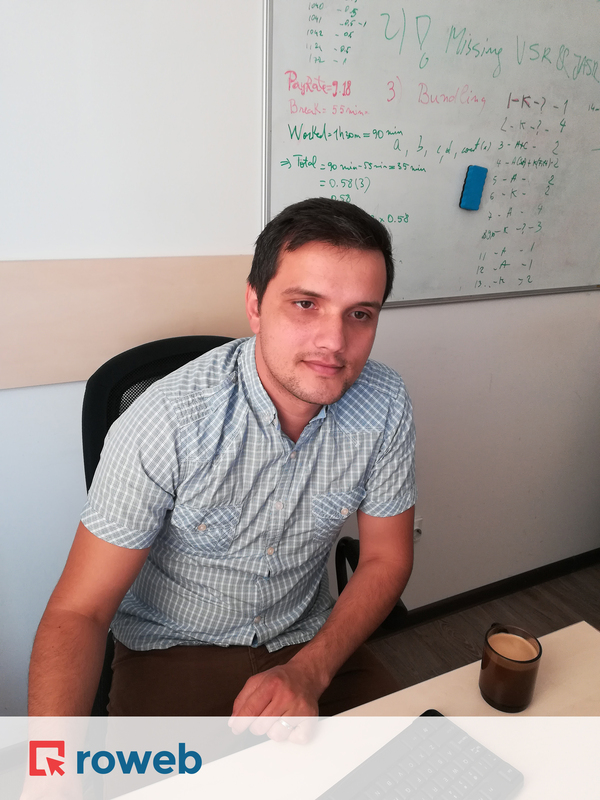 At the interview, I met Stefan Nicolae, who asked me a series of questions about my PHP knowledge, then had a talk with Viorel Costea. That year of work experience made a huge difference, I wasn’t nervous at all during the interview. 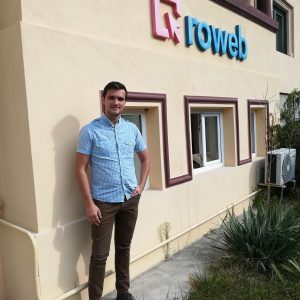 It all seemed very professional and the management were very high-quality people, so at that moment I decided I really wanted to work at Roweb. At that time, Roweb only had one office, the co-workers were friendly and we would always have very interesting debates at lunch, about everything in the world (I always really liked that about Roweb). I had help from my colleagues when it came to complex programming and software architecture challenges. The office was right next to a park, which was very pleasant, especially in spring and summer. I would often go for a walk in the park after my lunch break. What was it like at first and what changed along the way? Corneliu: It was challenging in the beginning, of course, because there was a lot of information to take in. Even so, because I was so passionate about programming, I enjoyed learning and wouldn’t even notice when it was time to leave the office. My co-workers say I was much shier and quieter than now. The team was smaller and we were all pretty familiar, the more experienced colleagues were always very helpful. Being fewer, we would all work in the same office so we were all much more connected to each other. From a technical viewpoint, I can say we’ve all evolved a lot and we’re still on a growing trend. How do you feel about our organizational culture, how did it influence you, and how did you influence it? Gabriel: I learned a lot here, it’s an environment that fosters learning and professional growth. Co-workers really help each other and you can learn a lot of interesting things. One important thing that I’ve learned was how to talk to the end-client, how to think from their perspective when you’re designing a program, what their expectations are. I worked for 3 years on the PHP framework and then transitioned to .NET. dotNET is a very robust framework and I don’t think I’ll be transitioning to anything else in the near future. Corneliu: I think we spend more than half our time here, maybe more time than we spend with our families. That has an influence on each of us, and I think we all influence each other. I learned here what teamwork means, understood that everyone has something to teach you. At the same time, I’m sure I also made a difference, especially in the teams that I worked with, because I’m a perfectionist and critical thinker. What would you say to someone considering or starting a career at Roweb? 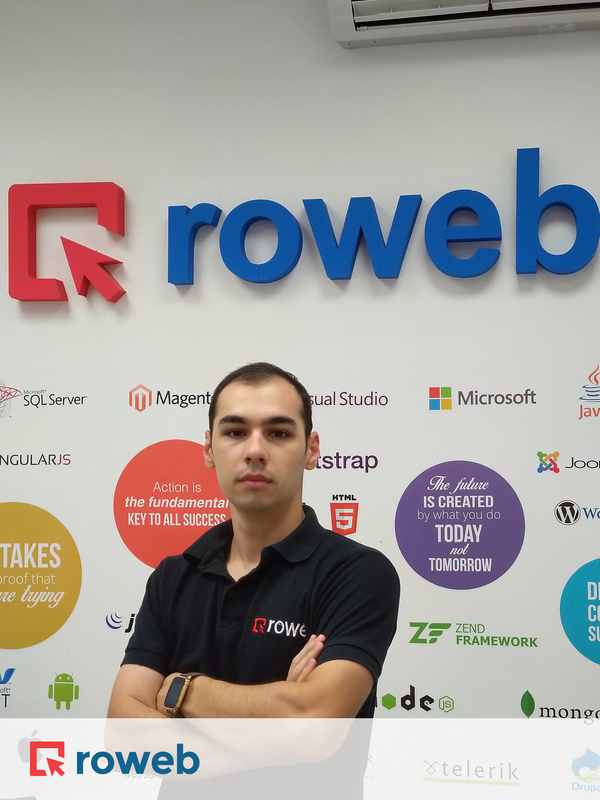 Gabriel: Like with every job, it’s important to like what you do, if you enjoy finding solutions to complex problems and constantly learning about new programming technologies, then this profession is the right choice for you and you should definitely apply for a job at Roweb! Corneliu: When I started out, information available on the internet was very scarce; now the internet is full of video tutorials, forums, etc. I would advise them to not wait around for someone to constantly direct them during their learning stage, try to look for information on their own, because in addition to what you were looking for, you’ll also come across dozens of other things that will be useful to you in the future. They should learn to accept criticism, accept that other people are right, too, and yes, ask questions when they don’t understand something, instead of pretending they understood. 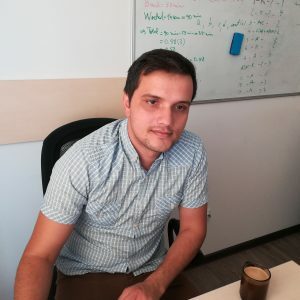 I think that if you chose to work as a programmer out of passion more than anything else, then you’ve got nothing to worry about, everything else will come naturally.